The action-packed thriller Acts of Violence arrives onto Blu-ray™ (plus Digital), DVD, and on Digital March 27 from Lionsgate. The film is currently available On Demand. Set in the dangerous world of human trafficking, the film stars Cole Hauser, action legend Bruce Willis, Sophia Bush, and Mike Epps. 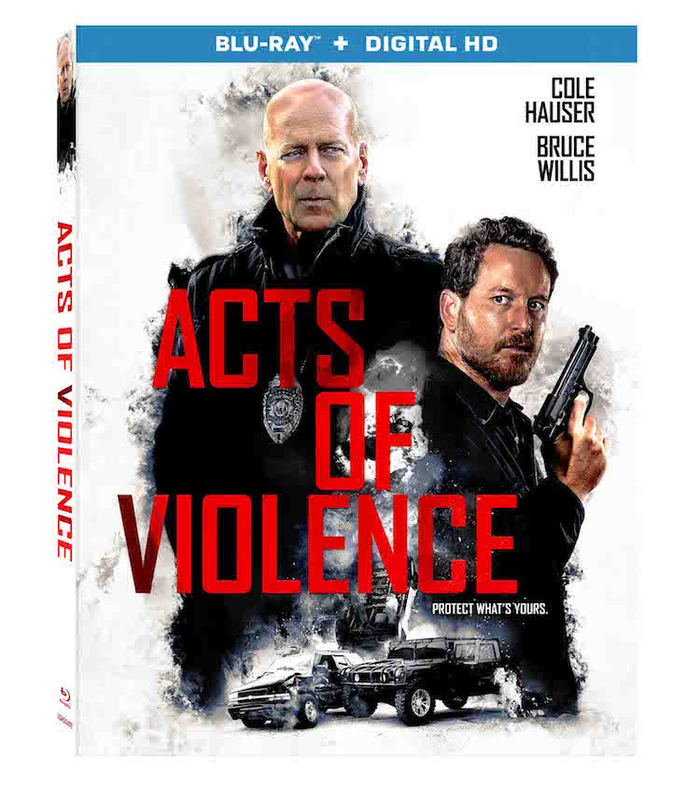 From the producers of 2 Guns and Lone Survivor, the Acts of Violence Blu-ray and DVD include a director’s commentary, a never-before-seen featurette, and cast and crew interviews, and will be available for the suggested retail price of $21.99 and $19.98, respectively. Lionsgate and Bruce Willis seem to have a great partnership and the movies between them two keep flying out. Acts of Violence is in theaters now and might be worth a watch on the big screen. If not, the Blu-ray should be an excellent substitute. You can preorder now from Amazon.